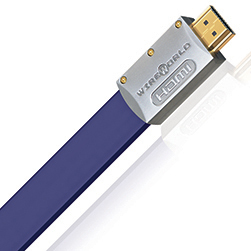 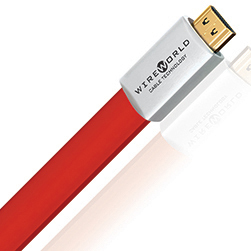 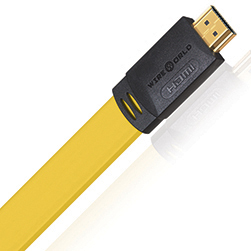 The Chroma 7 is WireWorld’s 2nd level up, 16 conductor, Composilex HDMI Cable – OFC (Oxygen Free Copper) conductors and a geometry backed up by science. 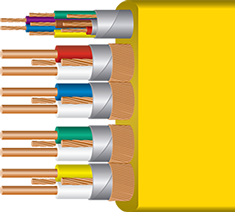 From our experience, you don’t need scientific equipment to measure the benefits – they are immediately apparent. 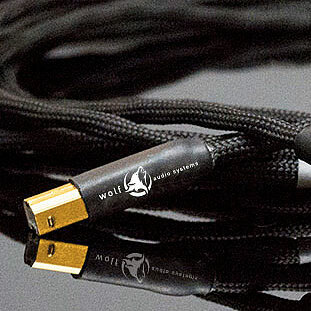 The Chroma 7 HDMI cable is one of our go to cables for connecting our touchscreen monitors, and it is another of our daily drivers on the road doing demos and at shows, we trust it. 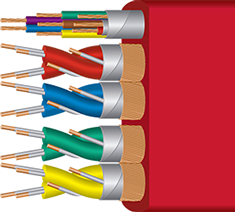 The Chroma cables have held up, being haphazardly stuffed in bags, loaned out to customers and seen some abuse that makes us cringe… and they still work. 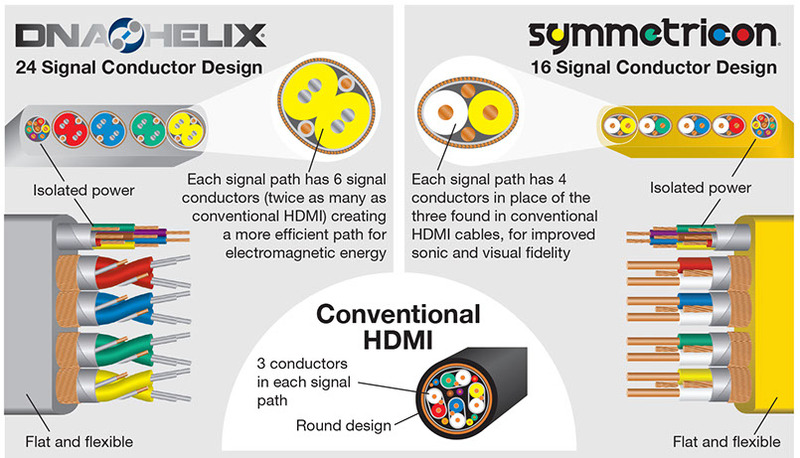 At (and actually under) the $200 price point for 9.0m cables, these perform exceptionally well, improving the visual quality of our control screens and keeping the signal intact over very long runs. 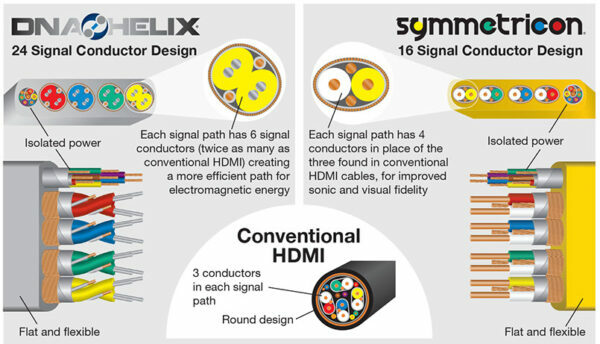 With heavy 24 gauge OFC conductors in the flat Symmetricon design, Chroma 7 provides greater imaging and sonic precision than conventional round HDMI cables. 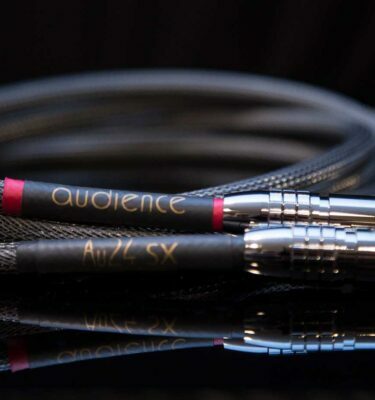 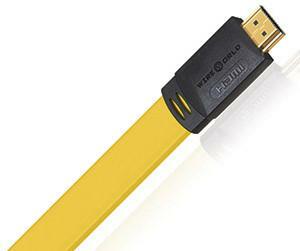 You’ll be amazed at the visual clarity of this cable, and the dynamic sound quality will really surprise you.